The InfoPrint 1823 printer includes two 250-sheet drawer and a 50-sheet multipurpose feeder (MPF) for a total input capacity of 550 sheets standard. No optional input drawers are supported. Standard output capacity is 150 sheets. Duplex capability is standard. The printer has one slot for additional SDRAM memory. Memory options for the printer include 128 MB, 256 MB, and 512 MB memory DIMMs. It has two slots available for flash memory (64 MB or 256 MB), font cards (Korean, Simplified Chinese, Traditional Chinese, or Japanese), Bar Code and Decryption cards. Notes: 1-Multiple flash memory cards are not supported, 2-Multiple font cards are not supported, 3-A bar code card cannot be used in the printer in conjunction with the decryption card. 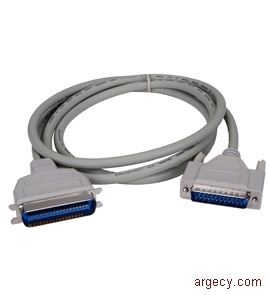 The printer includes internal 10/100BaseTX Ethernet as standard. The maximum monthly usage for the InfoPrint 1823 is 80,000 impressions. InfoPrint Solutions Company does not recommend printing to the monthly maximum on a consistent basis. The Toner Darkness setting offers 10 user-selectable settings to balance print darkness and toner savings. The higher the setting, the darker the print (that is "1" is the lightest). The printers ship with a default setting of 8. From level 8 to level 1 offers up to 50% toner savings, thus reducing the cost of printing. The Toner Darkness setting is accessible in the print driver. Note: (5) These five additional fonts are OCR-A, OCR-B, and three Code 3 of 9 barcode fonts with different aspect ratios. These fonts are only available in PCL 5. The fonts in the PCL emulation are compatible with the fonts in the HP LaserJet 1320; nine additional fonts and many extra languages and applications are available and are compatible with 69 of the 136 fonts in Adobe PostScript 3 and include 20 additional fonts. Additional fonts can be downloaded to the printer RAM or optional user flash. PCL emulation supports both scalable and bitmapped downloadable fonts. PostScript emulation supports only downloadable scalable fonts. All models include one 250-sheet drawer and a 50-sheet multipurpose feeder (MPF) for a total input capacity of 300 sheets standard. One optional 250-sheet drawer or optional 550-sheet drawer is supported for a maximum input capacity of 850 sheets. Duplex capability is standard on all models. All models have one slot for additional SDRAM memory. 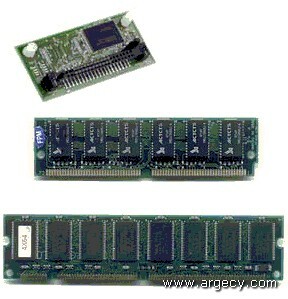 Memory options for the printer include 128 MB, 256 MB, and 512 MB memory DIMMs. All models have two slots available for flash memory (64 MB or 256 MB), font cards (Korean, Simplified Chinese, Traditional Chinese, or Japanese), Bar Code and Decryption cards. Notes: 1-Multiple flash memory cards are not supported, 2-Multiple font cards are not supported, 3-A bar code card cannot be used in the printer in conjunction with the decryption card. The dn and xd models include internal 10/100BaseTX Ethernet as standard. 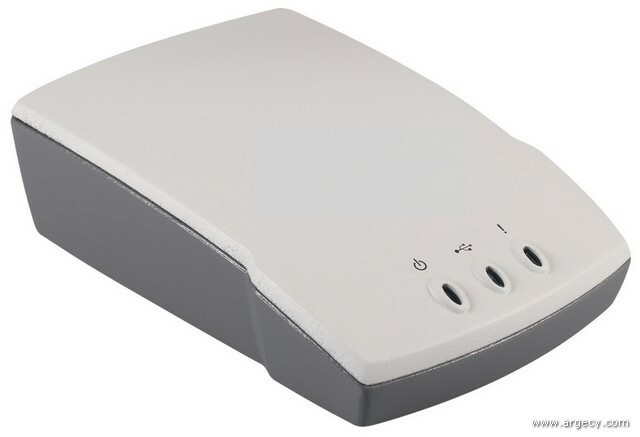 The dw models include internal 10/100BaseTX Ethernet and wireless 10/100BaseTX Ethernet as standard. Note: (2) 1200 Image Quality defined as 600 dpi with 2-bit IET technology default mode for all models. Note: (3) 2400 Image Quality defined as 600 dpi with 2-bit IET technology. Note: (4) True 1200 dpi at one-half rated speed. Note: (1) These five additional fonts are OCR-A, OCR-B, and three Code 3 of 9 barcode fonts with different aspect ratios. These fonts are only available in PCL 5. The InfoPrint 1823 time to first print are shown in the following table. Note: Time to first print (TTFP) is defined to be the time from the moment when the host sends the print signal until the moment the trailing edge of the first page leaves the exit feed rollers. TTFP is measured using a simplex text correspondence page and letter size paper. Assume nominal input voltage and approximately 23 deg C ambient temperature. Print Speeds are shown in the following table. Speeds are for 600 x 600 dpi, 1200IQ, 2400IQ. 1200 x 1200 dpi is rated at half speed. Note: (1) PPM could be slower based on media and environmental conditions speeds shown. The InfoPrint 1823 printable area is limited to within 4.0 mm (0.158 in.) of top, bottom, left or right edges of the media. Any information placed outside this specified printable area will not print. The printer comes standard with one 250-sheet paper drawer and a 50-sheet multipurpose feeder (MPF). A 150-sheet output bin is standard. See table below for standard and maximum media capacities. Note: (2) When Other Envelope is selected, the page is formatted for 215.9x355.6 mm (8.5x14 in.) unless a size is specified by the software application. Note: (3) A6 maximum input 150 sheets - only long grain support. Note: (1) This refers to paper only. Treeing may occur on 16# paper. Note: (2) For 20 lb print material, unless otherwise noted. Note: (3) Single sided paper labels are supported for occasional use of less than 20 pages per month. Labels such as vinyl labels, pharmacy labels or dual-sided labels are not supported. Note: (4) Cardstock up to 90# index. Designed to exit rear door. Short grain is recommended. Note: (5) 20 lb envelopes are recommended. Wrinkling may also occur on the front side, but away from address or return address areas. Slight wrinkling (not in address areas) is permitted on 24# envelopes. Use envelopes that lay flat when individually placed on a table face-down. The distance of any edge or corner from the table should be less than 3 mm. Note: (6) A6 long grain media support/short grain A6 not supported. Note: (7) The capacity may be reduced on some labels. Note: (1) The printer automatically sends print jobs to the standard output bin unless the rear output door is open. These printers incorporate a Bin Full sensor. Note: (2) The printer automatically sends print jobs to the rear output door when it is open. Unsuitable papers include multipart forms and documents; chemically treated papers; coated, synthetic and thermal papers; A5 paper less than 70 gsm (21 lb); recycled paper less than 75 gsm (20 lb). Recycled paper less than 80 gsm (21 lb) may cause unacceptable results. All paper is either "short-grain" or "long grain", depending on the direction in which most of the paper fibers line up relative to the edges of the paper. Most paper is typically cut long-grain (letter, A4, legal, folio, B5, A6, and executive). Long-grain paper has a grain direction parallel to the long edge of the paper and generally feeds well. Short-grain paper (typically for A5 and statement) has a grain direction parallel to the short edge of the paper. Chemically treated papers used to make copies without carbon paper, also known as carbonless papers, carbonless copy paper (CCP), or no carbon required(NCR) paper. Preprinted papers that can be affected by the temperature in the printer fuser Preprinted papers that require a registration (the precise print location on the page) greater than +2.3 mm (+0.9 in. ), such as optical character recognition (OCR) forms. In some cases, registration can be adjusted with a software application to successfully print on these forms. Coated papers (erasable bond), synthetic papers, thermal papers Rough-edged, rough or heavily textured surface papers, or curled papers Recycled papers that fail EN12281:2002 (European). For best results, printing on new 75 gsm (20 lb.) sulfite or 25% cotton bond envelopes is recommended. Labels should be selected using guidelines found in the User's Reference, Complete Printer Reference, or the Cardstock and Label Guide and tested for acceptability. VINYL AND POLYESTER LABELS ARE NOT SUPPORTED. Four-line 160 x 64 pixel APA backlit gray scale display supports proportional font, four lines of 20 characters per line maximum for non DBCS. DBCS is supported at 16 x 16 pixels in size and four lines of 10 characters per line maximum. There are two Home States: HomePrime and Home Status. HomePrime is the legacy "Ready" state. HomeStatus is the legacy "Busy" state. The InfoPrint 1823 printer complies with the global safety standard for Information Technology Equipment, IEC 60950, and its country equivalents in the markets we serve. The following sections highlight the approvals and certifications that printer is expected to receive. Note: This and the UL standard are a single "bi-national" document, published jointly with UL. The Local Printer Settings Utility allows end users to select and save various user default settings for your printer. These settings remain in effect for all print jobs until either changed by the Setup Utility or overridden by the printer driver. MarkVision Professional is a cross-platform print management solution that enables IT administrators to proactively monitor and manage network devices in an enterprise environment via a web browser. It provides IT administrators with realtime device status and information, centralized device setup, remote printer monitoring and management, and asset management capabilities, all from a single utility. This Install utility provides a very powerful method to install or uninstall printer software in Windows 2000, Windows XP, Windows Server 2003, Windows Vista and Windows Server 2008 environments. Through the use of the Script Install utility, System Administrators can easily perform mass rollouts of these printers by creating custom scripts to perform local or remote printer software installations on end user workstations. When combined with the Driver Profiler utility, I/T shops can centrally create and deploy custom printing environments for each remote location. Together, these utilities drastically reduce the time required to install printer software in a distributed environment. This Printing Solution for Novell systems offers administrators more control over these printers. This all-inclusive package provides support for both NDPS and iPrint printing systems on NetWare 5.1, 6.0, 6.5 and NOES for NetWare servers. The package consists of Novell's NDPS gateway coupled with InfoPrint Solutions Company custom control snap-ins for both NetWare Administrator (NWAdmin) and iManager. By offering custom support for both NetWare Administrator and iManager management utilities, this offering allows administrators to take full control of InfoPrint Solutions Company printers in a Novell printing environment. To maximize the user experience, InfoPrint Solutions Company offers system Host-Based Printing (HBP), PCL XL emulation and PostScript emulation drivers for Windows 2000, XP, Server 2003, Vista and Server 2008 platforms. Systems drivers for Windows provide the most comprehensive set of printing features available for InfoPrint Solutions Company products. Offering an easy-to-use interface and time saving preset features, the InfoPrint Solutions Company system drivers allow users intuitive access popular features. The InfoPrint Solutions Company Universal Driver packages in PCL and PS emulations are compatible with the E26x, E36x and E46x printers. The Universal Drivers for Windows promote efficiency in the printing environment, while maintaining the ease-of-use of our system drivers. These printer drivers reduce the complications of printing in UNIX and Linux environments. Built on the LPRng printing system, the InfoPrint Solutions Company printer drivers provide fully scriptable command-line options. When running in X-Windows mode, The printer drivers make it easy to access many popular printer features without memorizing command line options through a GUI interface. Printer Settings allows the user to see, select, and save various default settings for the printer. These settings remain in effect until changed by Printer Settings or overridden by the printer driver. Printer File Loader allows the user to send PostScript, NPA, UCF, and raw files to the printer over AppleTalk, TCP/IP, or USB. Printer status allows the user to check the current status of a selected printer. It will show the level of consumables and any other messages for the selected printer. 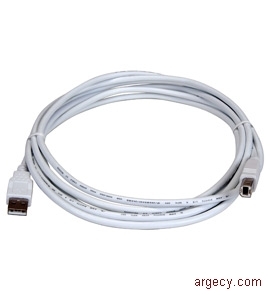 InfoPrint 1823 is compatible with applications running under the following operating systems for either local or network connections: For information about USB connections, see Local Connections. IBM iSeries Systems with TCP/IP with OS/400(R) V3R1 or later using OS/400 Host Print Transform. Note: (11) Citrix and MetaFrame are registered trademarks of Citrix Systems, Inc. MetaFrame XP is a trademark of Citrix Systems Inc.. Note: (12) USB printing is not supported from this operating system. Note: (5) Measured with input and exit tray extensions in collapsed positions. Note: (6) Printer weight includes the print cartridge that ships with printer. Note: (7) Measured with paper size set to letter. Note: (8) Total height of all printers installed on an optional drawer is 1.5 mm (0.1 in); shorter than the combined height of the individual items due to the interlocking fit of the printer and drawer. Note: (9) Combined weight is based on the heaviest model. The following table specifies nominal average power requirements for the base printer configuration for InfoPrint 1823. Note: (10) No prominent discrete tones per ISO 7779-1988 Annex D.
Quick Reference page (contained on CD) Arabic, English, Danish, Dutch, Finnish, French, German, Hebrew, Italian, Korean, Norwegian, Polish, Brazilian Portuguese, Romanian, Russian, Spanish, Swedish, Simplified Chinese, Traditional Chinese, and Turkish. 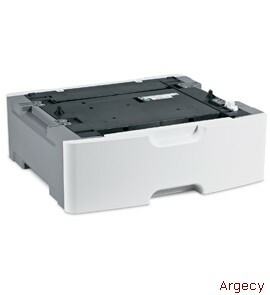 This additional drawer fits under the standard drawer and increases the printer's input capacity by 250 sheets. 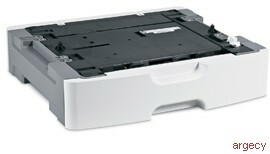 This additional drawer fits under the standard drawer and increases the printer's input capacity by 550 sheets. The InfoPrint 1823 has one slot for additional memory DIMMs and two slots for flash memory, font, and application solutions card. Note: Multiple flash memory, font card, or application solution cards are not supported. The following flash memory features can be plugged into a free slot. Only one flash memory feature is supported per machine. The following font cards can be plugged into a free slot. Only one font card is supported per machine. The optional DBCS (Double-Byte Character Set) Font Cards provide printer resident fonts for use printing Simplified Chinese, Traditional Chinese, Japanese and Korean. The DBCS Font Cards are suitable for use in a range of InfoPrint Solutions Company printers and MFPs. Fonts contained in these cards emulate those provided in Microsoft Windows. The use of printer-resident fonts in the card improves performance and minimizes network traffic since less data is downloaded to the printer. Each font card supports encodings appropriate for the language, including Adobe CID encodings. Simplified Chinese for China with two scalable print fonts. Traditional Chinese for Taiwan with two scalable print fonts. The Japanese Font Card contains two scalable print fonts for use with PCL and PostScript emulation. The Postscript fonts are compatible with Adobe PostScript 3 and emulate Adobe PostScript fonts such as those in the Ricoh NX750. The fonts used with the PCL emulation are compatible with the fonts in the HP LaserJet Language DIMM Memory options for Japanese, which are compatible with the HP LaserJet 4050, 4000, 4000 N, 4000 T and 4000 JN. The following application solution features can be plugged into any free slot. Only one application solution feature is supported per machine. The InfoPrint 1823 supports USB 2.0 high speed.